Bored? Test your color mixing logic with game Magic Color Balls! 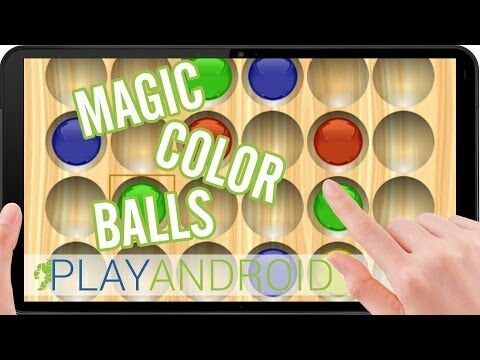 Magic Color Balls is a free 2 in 1 logic and strategic board game for Android. The goal of the game is to take off the most possible balls from the board. That may seem very easy but it’s not! The perfect result is when only one ball of each color is left on the board, however it is not always possible to fulfil that. The various colors may also be mixed up or even disappear from the board. During the game no ads appear at all, only during use of the menu. Supported screen resolutions are as follows: 240x320, 320x480, 320x533, 480x782, 480x800, 480x854, 540x960, 800x1280, 1080x1776, 1080x1920, 1280x1836 and close to these.